Front and rear access offers a range of opportunities for the right tenant. 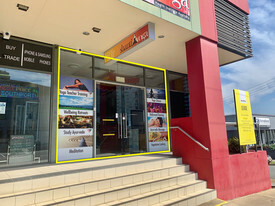 655 sqm space $120 000 plus GST Directly adjacent Harbour Town Shopping Centre & NRMA Big 4 Holiday Park Neighbouring tenants include BCF, Ideal Electrical, Sushi Train, Zambreros, a variety of restaurants and more! 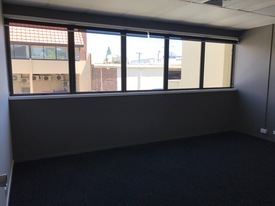 Only 3.9Km from Gold Coast University Hospital and Griffith University (approx) Exposure to 57,000 cars daily 149 car parks in the centre High ceilings Great signage opportunity Rear loading access Please call Your Commercial to arrange an inspection. Are you looking for a professional office that gives you and your employees that work and lifestyle balance? Then you are looking at the right property! Join some of the Coast's well known developers, architects and successful entrepreneurs that call Mermaid Beach their business home. Situated on the Western side of the highway sits a building which is under new ownership, along with a complete refurbishment which has begun, bringing it into the modern age. 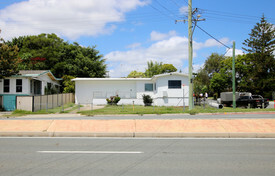 If you're looking for quality office space in the Heart of Mermaid Beach then this should be at the top of your list. Across the road from some great eateries and a short walk from some award winning coffee shops! Get in now before it's gone... Floor space available: 130m² upper offices Put an offer forward and let's help you secure this opportunity today! Approximately Disclaimer: Ray White has not independently checked any of the information we merely pass on. We make no comment on and give no warranty as to the accuracy of the information contained in this document which does not constitute all or any part of any offer or contract by the recipient. Prospective purchasers / lessees must rely on their own enquiries and should satisfy themselves as to the truth or accuracy of all information given by their own inspections, searches, inquiries, advices or as is otherwise necessary. No duty of care is assumed by Orchid Avenue Realty trading as Ray White Surfers Paradise Commercial divisions toward the recipient with regard to the use of this information and all information given is given without responsibility. Massive Rent Reductions! Incentives On Offer! 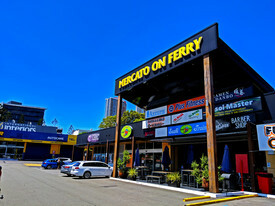 $650 psm + GST (Including..
Centrepoint Resort Arcade, currently two shops available wanting to find a unique key food/retail operator. 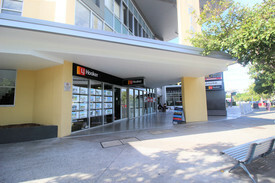 Frontage to the G:Link tram line Surfers Paradise Boulevard. Shop 2 can be also combined with Shop 3 giving you a total of 112m² fitted with cold room, grease trap and Al Fresco area. 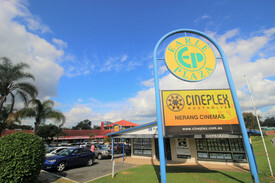 Shop 2 $750 per week + GST 60m2² retail shop Cold room in place 1 free allocated car park Available to lease now! Approximately Disclaimer: Ray White has not independently checked any of the information we merely pass on. We make no comment on and give no warranty as to the accuracy of the information contained in this document which does not constitute all or any part of any offer or contract by the recipient. Prospective purchasers / lessees must rely on their own enquiries and should satisfy themselves as to the truth or accuracy of all information given by their own inspections, searches, inquiries, advices or as is otherwise necessary. No duty of care is assumed by Orchid Avenue Realty trading as Ray White Surfers Paradise Commercial divisions toward the recipient with regard to the use of this information and all information given is given without responsibility.